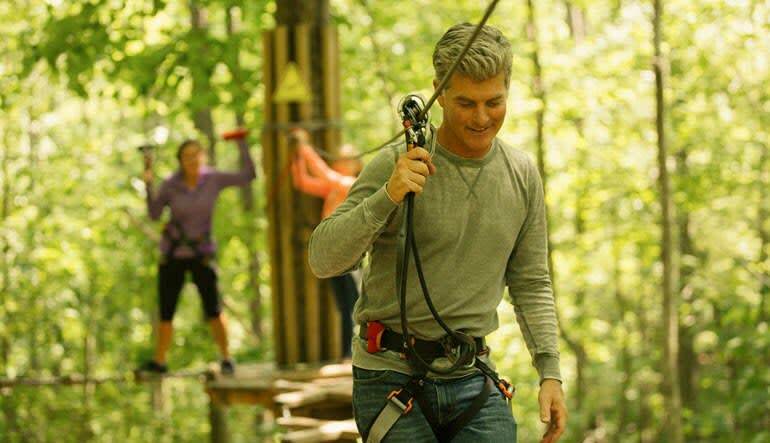 Raleigh's zipline tour is one of the most action-packed treetop adventures in the nation. Bring some adventure to your life and learn just how much you’re capable of! Bring some adventure to your life and learn just how much you’re capable of! 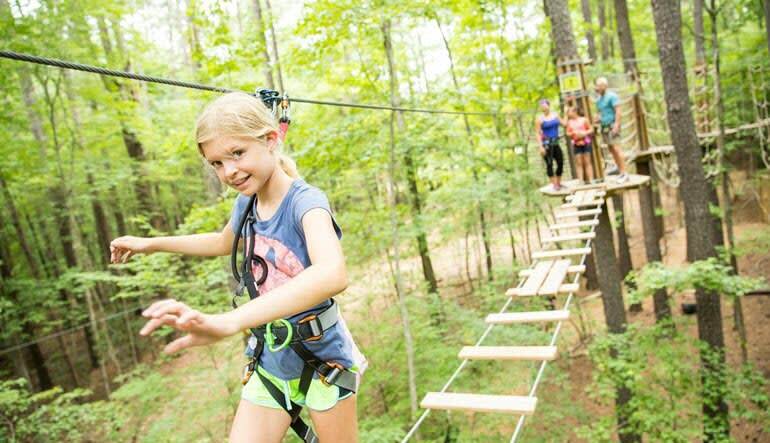 With its 42 exciting crossings, 5 ziplines, climbing webs, log swings and Tarzan ropes, this canopy tour of Raleigh’s Blue Jay Point Country Park is one of the most action-packed treetop adventures in the nation. While this tour certainly has you challenging yourself, it’s still very much a group effort. Canopy tours are all about team building; instilling confidence in your high-flying friends makes the 2 to 3 hour journey that much more rewarding! Explore Raleigh’s Blue Jay Point on a 2 to 3 hour zipline and canopy tour! Gear up and learn the proper safety precautions with a quick training session. Soar through the open air on 5 exciting ziplines! 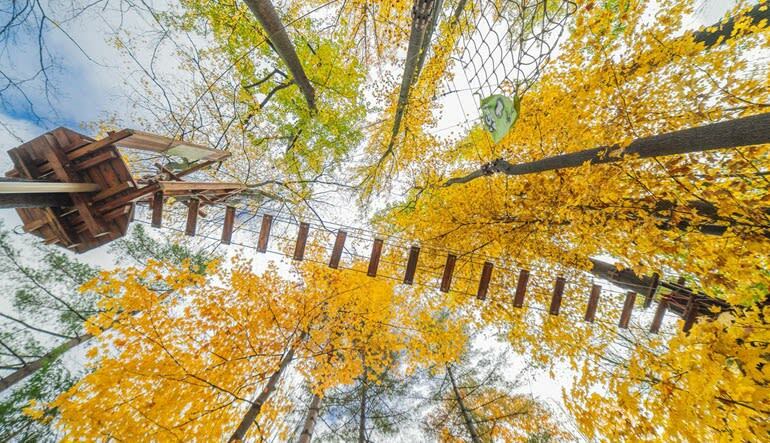 Glide between trees like Tarzan and swoosh onto platforms with a log swing! Appreciate some of North Carolina’s most striking scenery. It’s the perfect weekend outing for the family and the ideal mid-week work retreat to boost morale. Book your adventure today and bring the whole gang along!